If you are planning to upgrade Huawei phone system software, factory reset it or install a new ROM then the first thing you must do is to backup Huawei phone to avoid any kind of data loss. You should make a full backup before performing any risky task so that you could restore the data back if bad thing happened. Additionally, if you were a cautious person then you should regularly backup your phone data so that even if you delete anything accidentally then you have the option to get them back. Huawei phones have some excellent features including in-built backup app. 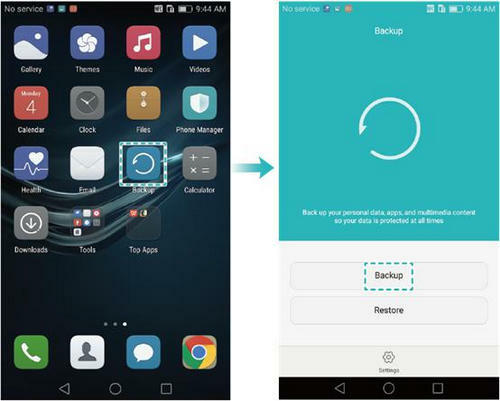 In this article, we will show you how to use this feature as well as we will introduce you to two third party software that could backup and restore Huawei phone. This works for: Huawei P10/P9/P8/P7, Mate 10/9/8/7/, Nova/Nova 2, Honor 9/8X/6X/5X and many more. 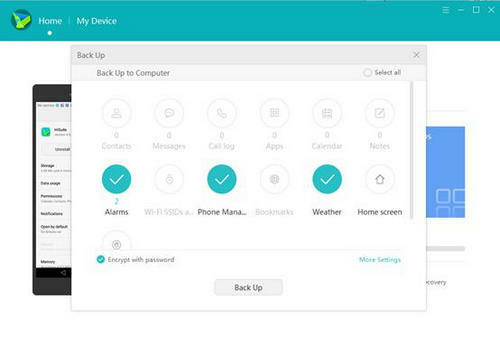 As we mentioned earlier Huawei phones has its own backup and restore app that can be used to back up your entire phone. Later you can use it restore the files back to your smartphone. Follow the steps below to backup your Huawei smartphone. Step 1: Find the "Backup" app on your Huawei phone menu. Step 2: Tap on "Backup" and choose where to save the backup file. For example – Internal or external memory or computer. Step 3: Select the file types that you want to backup and finally save it to the output folder. Step 4 : To restore from the same backup file, all you need to do is to tap on "Restore" then locate the file and recover files from it. Warning: The backup data will eat up phone memory sharply so it is not an ideal solution for Huawei phones with low-memory capacity. Huawei HiSuite is a desktop utility exclusively available for Huawei users. It can perform many tasks and one of them is to backup your smartphone. So, first you will need to download and install HiSuite on your computer and then follow these below steps. Step 1: Connect your Huawei phone to PC and enable USB debugging mode on your smartphone. 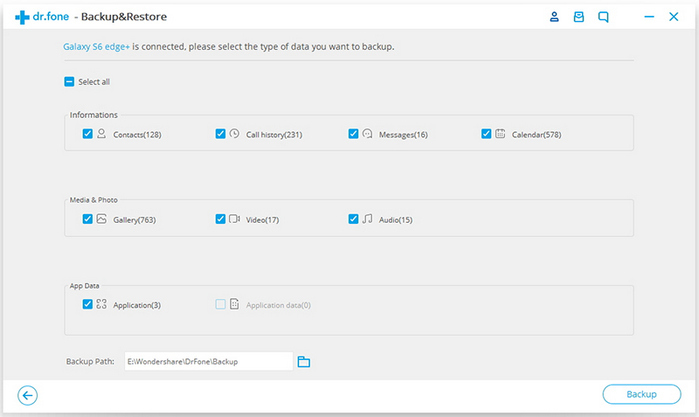 Step 2: Click on "Backup" and choose what file types you wish to backup such as pictures, contacts, messages, etc. Step 3: After selecting the data types, click on "Back up" again and all the data will be saved on your computer in the destination folder of your choice. Step 4 : In order to restore these data, again from the main interface of HiSuite, click on "Restore" then locate the backup file on your computer and click on "Restore" again to recover all files and data.. The above methods are troublesome at some times and require a high level of computer expertise to implement them. If you want to learn how to backup and restore Huawei phones with just 1 single click then it is possible with the help of Android Assistant. Unlike HiSuite, It can backup and restore data on all kind of brands and models such as Samsung, Sony, Nexus, Motorola, LG and so on. 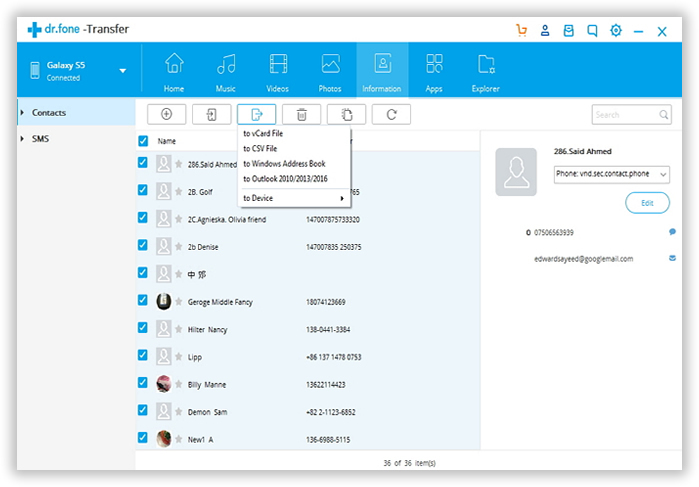 You can back up each type of data including pictures, videos, messages, call logs, apps, notes, memos, music, internet history with a single click on your mouse. What's more interesting, you can restore these backup data in any smartphone brand other than Huawei only. It is comparatively lighter in size and works very quickly. 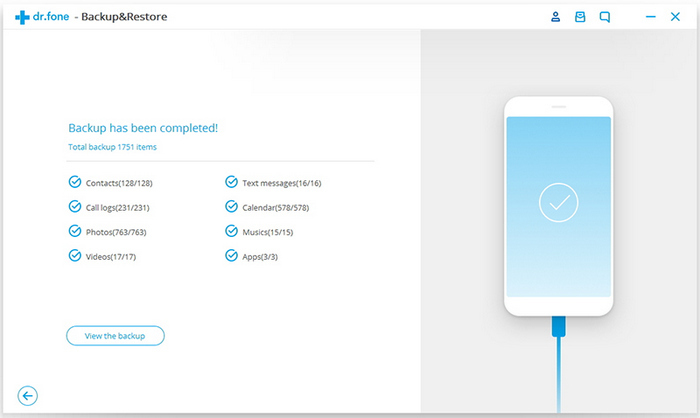 Backup and restore entire Huawei phone in one click. transfer selected data to computer in readable formats. Manage contacts list from computer. Root Android phone in simple steps. Recover deleted files from Android. Download the compatible version of this software depending if you are using Windows or Mac and install it quickly. Then launch the tool and you should be seeing the attractive interface of this program. Select the destination folder where you want to store the backup file and click on "Backup". The program will take few minutes so kindly be patient and do not disconnect your smartphone. In order to restore data from this backup file, select the "Backup & Restore " tab and choose "Restore". A new window will appear and it will ask to locate the backup file. Once you have done that, the software will automatically recover all data from the backup file and restore them on your Huawei phone again. In some cases, people need to view or print the data exported from smartphone. You can't do it with Method 1 and Method 2. However, you can do it with Android Assistant. You can transfer contact list and text messages to computer in readable format (txx or xml). So youo view or edit them on a comptuter. Prevention is better than cure and if you are a wise person then you will definitely create regular backups on your Android smartphone. In this article, we have covered how to backup and restore Huawei phones but if you have other Android smartphone models then you can use Wondershare MobileGo to back up your phones without any problem. The efficiency and simplicity of Android Assistant is really remarkable and it is by far the best Android backup and restore software available on the market. If you would like to share more methods or software then please mention them on the comments below.